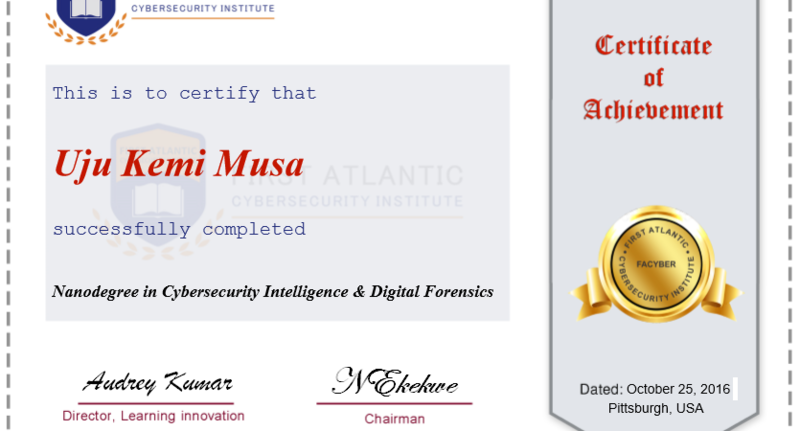 We’ve designed the certificate for First Atlantic Cybersecurity Institute. This is the sample. 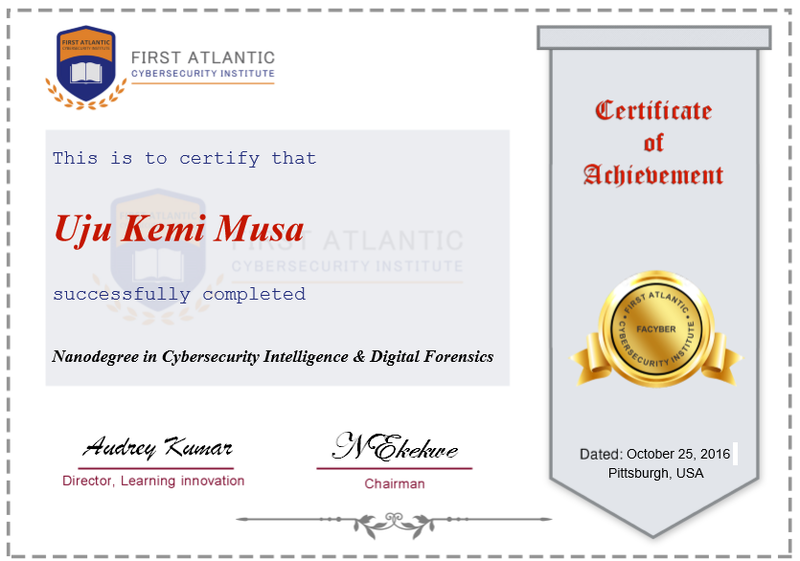 Once a learner completes the program, the certificate will be generated automatically with the name of the learner, the program and the date updated. The portal will be unveiled next week.